Paintings change over time: colors darken, layers cloud and yellow. 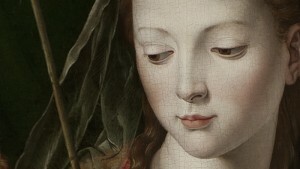 Follow the treatment of a sixteenth century painting, the Madonna and Child with the Infant Saint John by a follower of Agnolo Bronzino, as a conservator develops a new, innovative technique to recover the work’s depth, color, and shading. 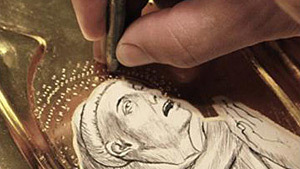 Under the gilded surface of each Renaissance panel painting is more than 20 layers of gesso, charcoal, glue, and pigment. 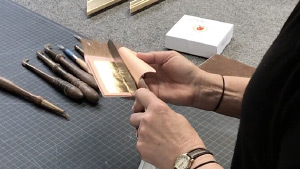 From rabbit glue to egg yolks, hear about the materials and methods used in fourteenth century Italy from experts at the University of Delaware who have created a historically accurate reconstruction of the Museum’s St. Francis Receiving the Stigmata by Carlo Crivelli.